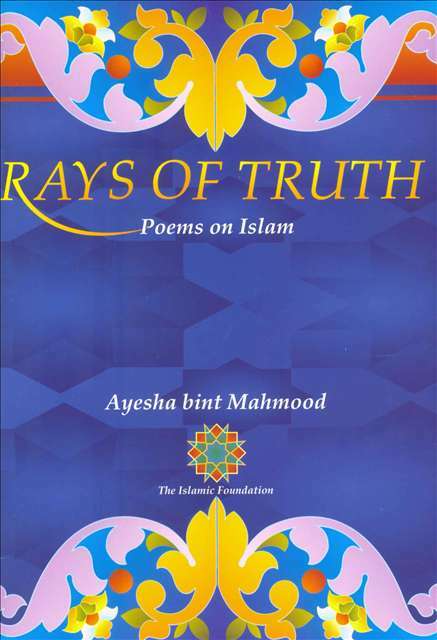 Rays of Truth: Poems on Islam is a collection of thirty-two poems meant for young adults. In this collection of powerful poetry readers are drawn into a world that makes them ponder about life, death, sacrifice, faith and Allah. The poetry itself is inspiring and uplifting while at once calling the individual to realise the meaning of life. I seek refuge in You O Allah! These poems are suited for youths ages 13 and up. They are can be used in the classroom or at home as the starting point for discussions about how Muslims must approach life. A glossary is included at the end that explains various Islamic terminologies. SOURCE: Rays of Truth: Poems on Islam Ayesha bint Mahmood. The Islamic Foundation (1997), Page 35.